Margaret Atwood’s controversial poem February brings one to the edge of reckoning with their most negative feelings. Here Rev. Lou Snead openly reflects on the same. Margaret Atwood (born 1939) is a Canadian poet, novelist, critic, essayist, inventor, and environmental activist. Wikipedia. What follows is Rev. Snead's piece. Winter conjures up all kinds of thoughts and feelings for most of us. Some of us think of “winter” primarily as a season in the cycle of life when it gets cold and nature goes into a state of hibernation. Winter seems to have more gray days when the trees are barren and the energy of life goes dormant. Winter months are only salvaged by holiday celebrations like Christmas, the New Year, and the marking of the winter solstice when the Sun reaches its southern-most position as seen from the Earth. For ancient peoples the winter solstice was the day the Sun turns around because the Sun seems to stand still at the Tropic of Capricorn and then reverses its direction. During winter in the Northern Hemisphere, the Earth is actually closest to the Sun. Winter is not defined by the distance the Earth is from the Sun. Seasons occur because our Earth orbits the Sun on a slant, with a tilt. Therefore, different intensity of sunlight reaches the Northern and Southern Hemispheres at varying times, causing the differences in temperatures and weather patterns though-out the year. So, winter may even challenge some of our more intuitive North American thoughts about the relationship of the Earth to the Sun and where we live on this planet. If you doubt this, ask an Australian which months constitute winter. Socially, winter is the cold and flu season because we spend lots of time jammed together indoors to spread our germs around. Maybe that's why winter is not usually our favorite season of the year. Since winter includes the beginning of a new year on our calendars, it is a reflective time for looking back over our experiences in the passing year and to make resolutions for our hopes and dreams in the coming year. This exercise in itself can be sobering. For many of us the shortened hours of daylight in winter days provide occasions for more sedentary, indoor activities when we slow down a little, maybe read or watch TV more frequently, or try to catch up on chores we have otherwise managed to neglect or avoid. Unless we like snow skiing or ice skating, most of us would prefer to escape winter altogether and head South to some warm environment or to a tropical paradise where we can still commune with nature and enjoy the sun. 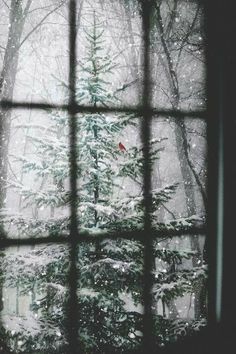 Spiritually, winter has been described in various ways, most frequently as the season of death in nature that yearns for rebirth and strains to welcome new life. Poets often beckon us to appreciate how winter makes us a little more sober about life itself. As Margaret Atwood says in her poem February, winter is the “time to eat fat and watch hockey” because it contains “the month of despair, with a skewered heart in the centre. A time to think dire thoughts, and lust for French fries with a splash of vinegar”. Rev. Lou Snead is a retired, pioneering pastor living in Georgetown, TX. Learn more about Lou and read more of his writings here.